Autism is a complex neurological disorder that affects the connections between various regions of the brain, impacting a person’s ability to produce and process language and to read the nonverbal social cues that are an otherwise intuitive part of human communication. 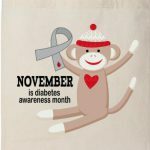 Also recent research ventures have found that individuals with autism have an increased risk of developing type 2 diabetes. The largest study to date that investigated this link took place in Taiwan and was published in 2016. If you’re not familiar with autism (or “Autism Spectrum Disorder” known as ASD), it’s actually a wide-spectrum disorder, meaning people diagnosed with it will have their condition manifest in different ways. From “high-functioning” autism, like Asperger’s Syndrome, to “low-functioning” autism, which can leave people nonverbal, people with this disorder often have communication issues, behavioral issues, and sensory issues. Many with autism can have an unusual interest in repetitive behaviors, from schedules to activities to food. More people with autism experience weight issues than their neurotypical peers, putting them at risk for type 2 diabetes. Estimates indicate that 32 percent of autistic kids are overweight, versus 23 percent of neurotypical kids.This may be due to medication, picky eating, and genetic factors linked to both autism and weight issues. Research tells us that autism tends to run in families. Changes in certain genes increase the risk that a child will develop autism. If a parent carries one or more of these gene changes, they may get passed to a child (even if the parent does not have autism). Other times, these genetic changes arise spontaneously in an early embryo or the sperm and/or egg that combine to create the embryo. Again, the majority of these gene changes do not cause autism by themselves. They simply increase risk for the disorder. Scientists have conducted extensive research over the last two decades to determine whether there is any link between childhood vaccinations and autism. The results of this research is clear: Vaccines do not cause autism. The American Academy of Pediatrics has compiled a comprehensive list of this research. There are three groups of medications considered appropriate for autism: those used to treat co-occurring ADHD symptoms, antidepressants/anti-anxiety medications, and atypical anti-psychotic medications. 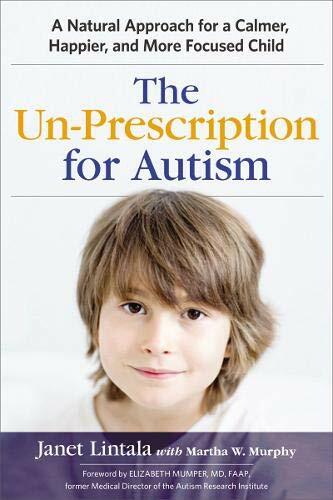 Medication is not a ‘cure’ for autism spectrum disorder (ASD). There’s no medication that has been proven to address the core characteristics children with ASD show in the areas of communication and social relations. But for some children, medication can help with challenging behaviour associated with ASD, which might be interfering with their ability to learn and respond to interventions. In these cases, the appropriate medication depends on the behaviour that’s causing the most trouble and how severe the behaviour is. Before deciding whether medication is right for your child, it’s important to understand what the medication does and what its side effects are.These medications should be considered only when all avoidable causes for problem behaviors have been considered and ruled out. There are only two types of medications that are currently approved by the FDA in treating some of autism’s challenges: antipsychotics risperidone and aripiprazole, which are known to lead to weight gain. At one time an autism diagnosis automatically precluded a diagnosis of ADHD. Not so anymore. We now know the two conditions frequently occur together. In fact, nearly half of all kids with autism demonstrate ADHD symptoms — an added burden that undermines academic, behavioral, and social progress. Ritalin and Concerta are prescribed to help children with attention deficit hyperactivity disorder (ADHD). They can also reduce hyperactive behaviour in some, but not all, children with autism spectrum disorder (ASD). This might allow children to concentrate on a task for longer and think more before they act.The main side effect of these medications is lower appetite. This can mean that children using them might not gain enough weight, or might even lose weight. Common challenges for children with autism include persistent anxiety or obsessive behaviors. These behaviors, such as avoiding or running away from new or unknown situations, separation anxiety, or compulsive checking or washing behaviors, cause big problems in day-to-day life. Children with autism are also at risk for developing depression, another family of symptoms that sometimes become severe enough to require medication. For these symptoms, the most commonly prescribed medications for children are selective serotonin reuptake inhibitors (SSRIs), such as sertraline (Zoloft) or fluoxetine (Prozac). Some of these medications have been studied and approved for use with children, although not specifically for autism. This group of medications may help with mood, anxiety, or obsessive thoughts and compulsive behaviors. As with most mental health medications, side effects should be closely monitored. These side effects include weight gain and a risk of developing Type 2 diabetes, among others. Weight, blood sugar, and other measures should be monitored when children remain on these medications for any length of time. Up to one-third of people with ASD have seizures at some stage in their lives. Some people with ASD have a lot of seizures.This problem can usually be treated effectively with anti-epilepsy medication. There are many different anti-epilepsy medications, so the best one for your child depends on the type of seizures your child has. 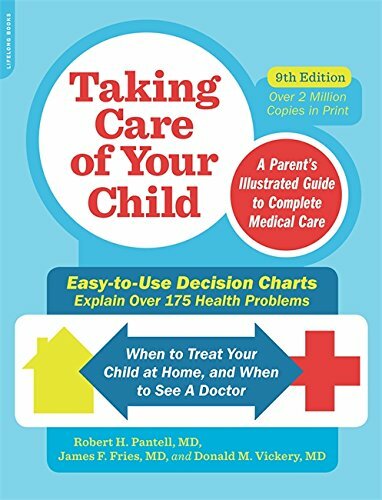 It also depends on any other problems your child has or other medications he/she’s taking. Side effects vary with different anti-epilepsy medications. Common side effects include sleepiness ,behaviour changes and tummy troubles. Some scientists say environmental and lifestyle factors, such as picky eating, may explain the increased diabetes risk among individuals with autism. They have less access to competent healthcare services and support for healthy lifestyles.People with autism also tend to have poor access to employment, housing, transportation and social support.All of these factors are known to impact health. Many parents of children who have an autism spectrum disorder (ASD) choose to consider complementary and alternative medicine (CAM) to help treat overall health and potential behavioral problems. 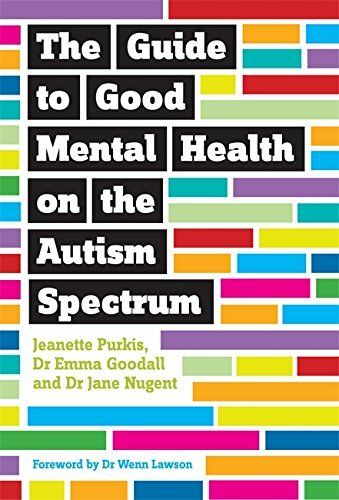 We know that food is medicine.Nutritional support for people with autism includes enhancing digestion and gut health, stabilising blood sugar, and increasing vitamin and mineral intake, particularly B6, vitamin A and zinc. There are certain foods that should be added or increased in the diet while there are several that should ideally be avoided altogether. For an individual with autism, the breakdown of dietary protein into smaller peptides, and eventually amino acids, as per regular digestive function, just doesn’t happen. Studies found that partially broken down components of original proteins are able to pass from the intestine into the bloodstream. This is due to incomplete digestion and/or an intestinal lining defect. Two of the diet’s most common proteins causing this are gluten and casein. Some of the components that are released into the bloodstream have opioid (morphine-like) properties. These proteins are triggered by the brain receptors and express the symptoms of autism. This means reducing or eliminating gluten and casein from the diet. Gluten is a protein in the seeds of wheat and other grains, such as barley and rye. Gluten is in many food products and can cause digestive problems. Casein is a protein in milk products, and it may be another common source of digestive issues. It’s thought that both gluten and casein can be inflammatory and that reducing them from the diet can help overall health and behavior in those who have autism. Sugar can cause fluctuations in blood sugar leading to behavioral problems. Avoid any forms of concentrated sugar including candy, desserts, soda, or fruit juices. Sugar has also been shown to have major negative effects on the brain. 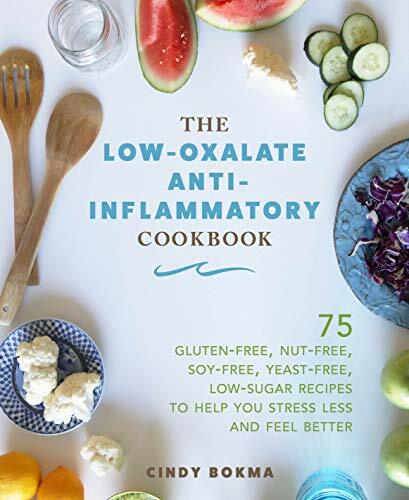 Soy is a common food allergy and contains phytic acid, a type of antinutrient that impairs nutrient absorption and can irritate the intestines causing leaky gut syndrome. Unhealthy gut and nutritional deficiencies are some of the most common causes of autism. Intestinal permeability has a major link towards autism. Hence, probiotics are considered to be one of the best home remedies for autism. The reason mainly being that probiotics stimulate the growth of healthy and good bacteria in the gut. Good bacteria enables efficient absorption of nutrients and prevents any further infections. Some of the best probiotics supplements are dairy products. Food additives may be problematic for ADHD, it is best to eat unprocessed nutrient-dense whole foods prepared at home.Bone broth (ideally made from scratch) provides important amino acids and minerals that can help heal leaky gut and improve mineral deficiencies. Proteins from meat, chicken, turkey, fish, nuts, and beans are made of tiny building blocks called amino acids. These are extremely important as they are used to construct large substances in the body.Parts of every cell, parts of hormones, and most importantly in autism, our brain chemicals. Serotonin is made from tryptophan, dopamine is made form phenylalanine, GABA is made from theanine. If your child isn’t eating enough protein or your child isn’t digesting the protein, then they won’t have the fuel to build brain chemicals. Altered neurotransmitters affect their mood, sensation, and learning abilities. Poultry like organic turkey contains tryptophan, an amino acid, helps produce serotonin (a calming neurotransmitter). Research has shown that people with autism spectrum disorders may have decreased “tryptophan metabolism,” which can change brain development, neuroimmune activity and mitochondrial function. Essential Fatty Acids (EFAs) are considered “essential” because they are needed throughout the human life cycle, cannot be produced in the human body, and therefore must be provided through the diet. EFAs help with brain and nerve development, cellular communication, oxygenation, metabolism and immune response. A diet high in omega-3s is critical for brain health and research has shown it can be particularly helpful for someone diagnosed with ASD and hyperactivity.Long-chain omega-3 fatty acids, specifically the EPA/DHA in fish oil, is critical for brain function and is highly anti-inflammatory. Supplementing with omega-3 fatty acids like fish oil is one of the most commonly used complementary and alternative practices in children with autism spectrum disorder. Arginine is an amino acid that is beneficial for your blood vessels as well as detoxification. It causes small blood vessels to dilate, bringing more blood to certain areas, such as the brain by converting to nitric oxide. This may improve cognition in children. Taurine is an amino acid that has a calming effect on the brain. Most beneficial in children that have had a history of seizures, it can aid in insomnia, anxiety, and hyperactivity. Many people assume taurine is a stimulant as it is an ingredient in many energy drinks (maybe they want you to calm down so you need another). Vitamin D deficiency is more common in children with autism compared to children without autism. This is a key vitamin required for healthy brain function. A vitamin D deficiency in a pregnant mother may also increase autism risk in her offspring. Magnesium is specifically relevant for those suffering from autism. Magnesium deficiency can lead to a number of symptoms that are in line with commonly seen behavioral patterns in autistic children, including rocking, teeth grinding, anxiety, poor concentration, and a low attention span. By ensuring that magnesium is a part of every day’s nutrient intake, those symptoms can be reduced, allowing for more productive behavioral therapy and improved behavior. One of the most closely related symptoms/conditions to autism is poor sleep habits. The disruption in normal sleep cycles can cause irritability, lack of focus and concentration, social anxiety, and chronic stress. Melatonin, however, is a soothing, sedative substance that can ensure healthy, restful nights of sleep, thereby helping autistic children to maintain a more relaxed schedule. The related behaviors of poor sleep will diminish, enabling more effective practice of social and communication skills. Autism sufferers appear to have higher frequency rates of scurvy, as though their bodies do not process or intake it well enough.Keeping a high vitamin C intake in the body helps with the development of collagen, antioxidant activity, cognitive function, and cellular repair and health throughout the body, all of which could improve the symptoms and sensitivities of certain autistic individuals. As one of the most potent and versatile herbs in common use, turmeric offers antimicrobial, anti-inflammatory, and antioxidant effects to the body. This can significantly improve the health of the gut and ensure proper nutrient intake so that many of the symptoms of autism can be lessened. Olive leaf is one of the many herbs that kill offending yeast in the intestines. Many children are given nystatin or diflucan for months or even years, but herbs are sometimes more effective. While many herbs are beneficial, olive leaf seems to have the best taste and best compliance. A major challenge for the person diagnosed with both ASD and diabetes is communication. More so, difficulties with communication can be downright dangerous if physical pains and medical needs (like low blood sugar or an upset stomach) cannot be properly expressed. But there is a silver lining too; both disorders are best managed when a structured regimen is in place. Most children do best when meal times are the same time, place, situation every day. Use visual timetables and visual schedules. Written timetables or picture symbol schedules detailing when and where they will eat, what will be eaten and the type of behaviour expected at meal times makes mealtimes more predictable and a less anxious occasion for the child. Whilst children should not be restrained, seating that encourages staying at the table can be helpful. Establish as calm and comfortable environment as possible. Some children eat more when they have a video or music on, whilst for others this may be too distracting. Work to broaden the variety of a child’s diet expanding on already accepted food groups e.g. : different types of vegetables. Do not assume that the child will automatically refuse a food in a new environment. Setting small goals in stages will allow the child step by step to reach a larger goale.g. before encouraging a child to eat vegetables, they may need to learn to accept a small amount on their plate first. The amount may be as small as a pea but this allows the child to remain secure within the environment they are familiar with. By making diet and exercise part of the daily routine, a parent makes it easier for his or her child to adopt eating habits that keep the little one healthy. Also, setting medical checkups at the same time, on a weekly or monthly rotation, can help a child practice and learn how to express his or her physical feelings accurately.